Waitomo Caves – The Great KiwiCombo Pass. See New Zealand your way! Travel around New Zealand on a self holiday and you will recognise breathtaking alpine landscapes from the world-famous LOTR and Hobbit movies. New Zealand is LOTR through and through. Of course one of the most well known features of the movies is Hobbiton, which was built on a ten acre site within a working and very picturesque sheep and beef farm near Matamata. 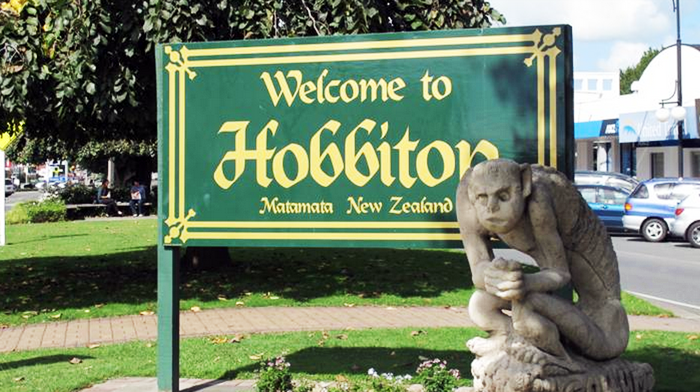 Matamata is only 2 hours’ drive south-east of Auckland so if you’re heading to Rotorua, call in for a Hobbiton Movie Set and Farm Tour. This outstanding guided tour is approximately 2 hours and you’ll hear fascinating details on how the Hobbiton set was created. After your tour, Rotorua is just one hour’s drive away. Depending on your travel arrangements you may prefer to combine Waitomo Caves with Hobbiton on a day trip from Auckland. Of course, Wellington is truly the middle of Middle Earth and if you’re a fan, then a minimum 2 night stop is essential here. Mount Victoria, in the central city, is where the very first footage of The Lord of the Rings trilogy was filmed in 1999. The Embassy Theatre which hosted the movie premiers, Weta Cave Museum, Stone Street Studios, Lyall Bay…. Outer Shire, Isengard, Rivendell, River Anduin, Fords of Isen… The easiest way to visit all of these wonderful icons is by guided tour so that you hear all the inside secrets as well! In the South Island the breathtaking alpine landscapes of Mt Potts Station, located in the foothills west of Christchurch, were transformed into Edoras, the capital of Rohan. Rocky outcrops formed from ancient glaciers include Mt Sunday which was used to create Edoras and Meduseld. Again, a full day guided tour featuring stunningly beautiful lakes, rivers and mountains by 4WD is a great day out for LOTR fans. See some of the Misty Mountains and the backdrop for Helms Deep. Further south near Twizel you’ll discover Gondor! Located on private land, it is not open to the public so a 2 hour local guided tour is essential for access. You’ll be on location with 360 degree views over the Pelennor Battlefield and the White Mountains. And, of course, no visit to New Zealand is complete without experiencing Queenstown, itself surrounded by LOTR film locations. The full day guided tour here includes over 20 film locations plus a rare collection of costume items and weapons from the trilogy for you to photograph. Remember that all these film sites are outdoors and many are in romote locations. You’ll need to be reasonably fit to enjoy the walking and take a warm layer of clothing in case the weather turns unexpectedly, which is can do in alpine areas. 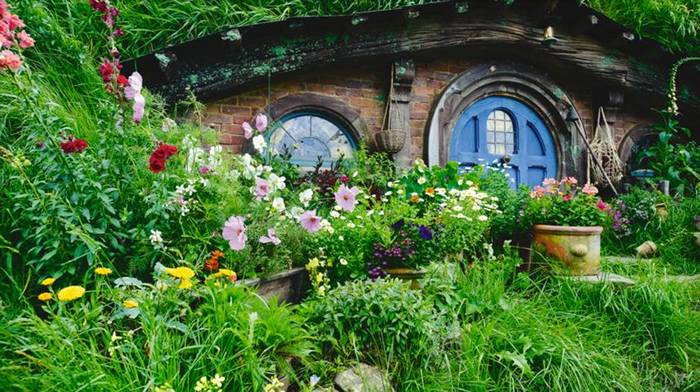 If LOTR and Hobbit movies are essential to your New Zealand vacation, then a well planned itinerary is a must to ensure you see the highlights. If you prefer to create your own self drive holiday, with a LOTR twist, take some expert local advice during your planning stages to ensure you’re in the right place with sufficient time to enjoy the LOTR highlights.